The Instant Pot is seven years old this year. Robert Wang and his business partners Yi Qin and Dongjun Wang had all worked in Ottawa’s tech sector before deciding to put their engineering backgrounds to work on a problem in their own homes. Not having enough time to prepare meals, especially dinners, after a work day. The partners were acquainted with the practical convenience of a pressure cooker. 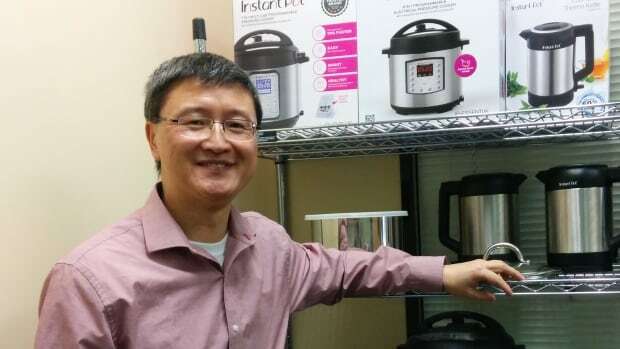 Founder Robert Wang began work on the multi-functional electric pressure cooker after the tech giant began winding down its research and development work during the financial crisis of 2008. After raising about $350,000 – he started his journey of creating a product that could facilitate fast and delicious meals quickly, safely and perfectly, and ultimately – remotely via Bluetooth. Sales weren’t great at the beginning. He relaunched in 2013 with a new name: iPot. That name didn’t last when trademark lawyers felt a potential showdown with Apple was probably inevitable. With no marketing budget, he sent 200 free samples to influential chefs, cooking instructors, and food bloggers. Those writers loved it, blogged about it, and even wrote cookbooks. This created incredibly valuable early word of mouth momentum that elevated the company beyond anything that it ever expected to achieve. This momentum was firmly rooted in what was ultimately an excellent product that capably attained that chain link level of evangelism from one suddenly fawning consumer desiring to share an excellent purchase with another. The Instant Pot began outselling stove-top pressure cookers on Amazon in January 2013, it has continued to do so since. It has since now sold more than two million units worldwide. Not bad for a company that still maintains it’s headquarters in Kanata, Ontario. This entry was posted in Entrepreneurship, Ottawa Bookkeeper, Small Business Canada and tagged ottawa bookkeeper, ottawa bookkeeping. Bookmark the permalink.